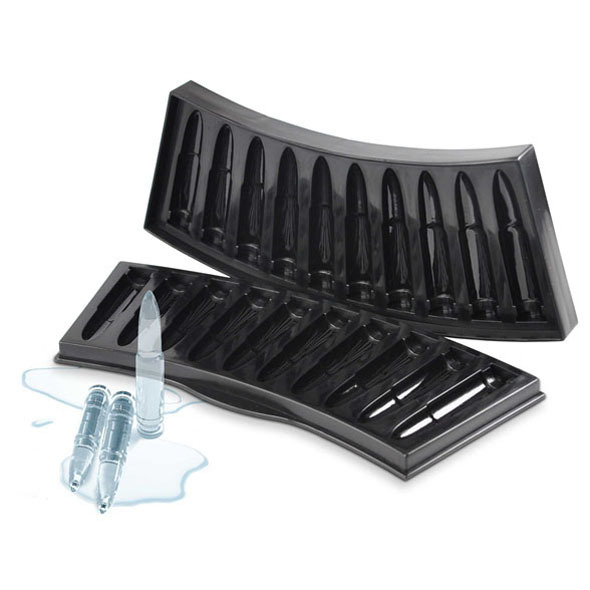 Create your own bullet-shaped ice cubes! If you want an extra-cool drink for those hot summer days, our Bullet Ice trayshould help ease the heat. 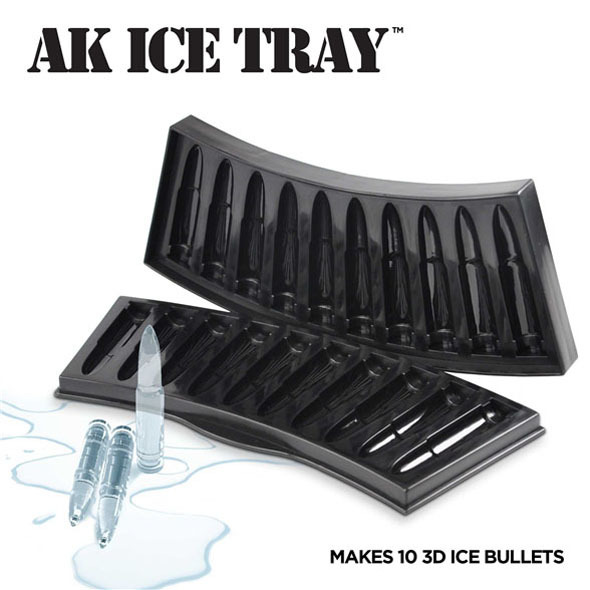 This awesome AK47 Ice Tray is a blast of brilliance to the previously rather monotonous world of ice cubes - just fill it with water and stick it in the freezer, and before you know it you'll have yourself a whole bunch of bullet-shaped 3D ice cubes. Drop 'em in your drink and enjoy! Perfect for really KILLER cocktails! 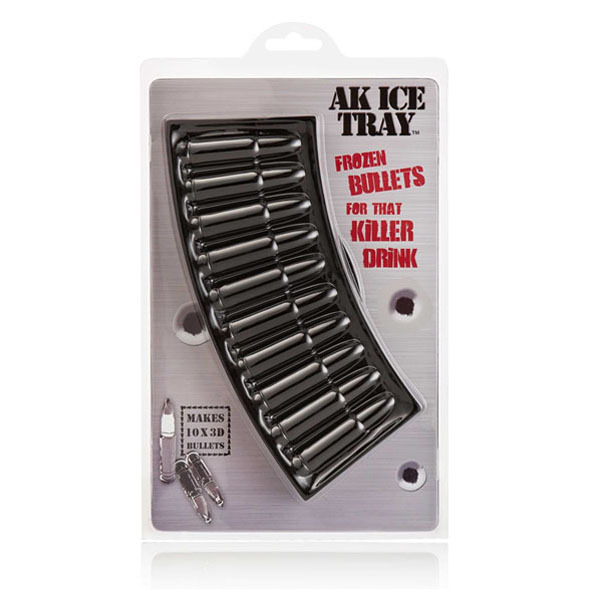 Chill your drink in cold blood with a round of awesome ice bullets, courtest of our AK47 Bullet Ice Tray! Simply fill one side of the tray with water. 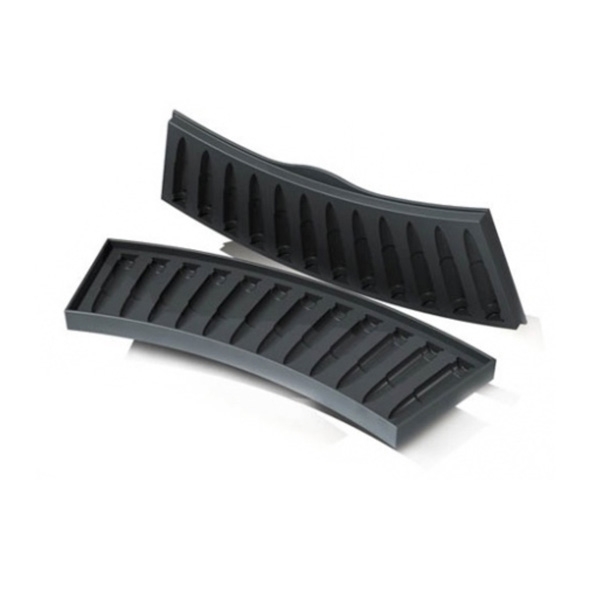 Put both sides of the tray together, and put them in the freezer. Wait for a couple of hours. Remove the ice tray from the freezer and marvel at the 3D ice bullets you've created!